Chilia��s American Grill & Bar is introducing its new menu this month. The launch will be about American favourites from the south-west. It is called Fresh Mex Selection with inclusion of burgers, fresh pickles, different meat patties. Whata��s more, they have introduced even low-calorie items. The meal can be capped with mouth-watering desserts. You can wash it down with a selection of cocktails, mocktails and fruit-punches. The outlets at Banjara Hills and Hi-tec City. 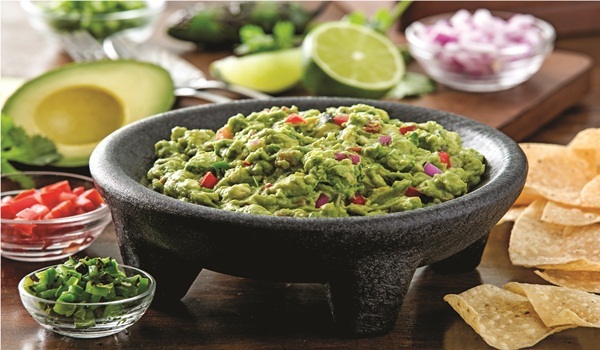 The new addition in the section of appetisers is Tableside Guacamole. And why is it named so? Because it is prepared fresh right on your table with freshly scooped avocadoes and ingredients that you can customise. It is served with tostada chips and salsa. There are other additions as well in the appetiser section like the white Spinach Queso and the Panko Crusted Onion Rings. For burgers they are offering a choice of four patties such as buffalo meat, mutton, chicken and south western veggies.